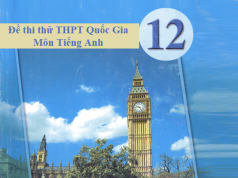 Các em cùng tham khảo đề kiểm tra 1 tiết môn Anh lớp 12 của trường THPT Trường Chinh có đáp án chi tiết. Đề thi tổng hợp các kiến thức đã học, giúp các em học và ôn tập môn Anh lớp 12 tốt nhất. Đọc kĩ đoạn văn sau và chọn phương án đúng. When you apply for a job, one of the most important things is job interview. In order to make a good impression during a job interview, you need to prepare yourself for the interview carefully. Punctuation is very necessary. You should arrive in plenty of time so that you have a little of time to relax and keep calm before the interview. You should be well-dressed. Don’t wear a skirt which is too short or jeans. You also need to plan what you are going to say. You have to answer a lot of questions about your education and experience. You may be a asked many things about yourself and especially about the reason why you decide to apply for the job. You can ask the interviewer about the salary you expect, the position you are applying and duties you have to do in the job. You also must try to find out as much as possible about the company you want to work for. 25 : Most of the classmates couldn’t come. He invited them to the birthday party. A. Most of the classmates he was invited to the birthday party couldn’t come. B. Most of the classmates that he invited them to the birthday party couldn’t come. C. Most of the classmates he invited to the birthday party couldn’t come. D. Most of the classmates which he invited to the birthday party couldn’t come. 26 : He didn’t try hard and therefore failed the entrance exam to university. B. If he had tried hard, he would not have failed the entrance exam to university. C. If he tried hard, he would pass the entrance exam to university. 27 : I was ill, so I didn’t go to school. D. If I had been ill, I would have gone to school. 28 : They will fill the area with coconut trees. A. The area will be filled with coconut trees. B. The area will fill with coconut trees. C. Coconut trees will be filled with the area. D. The area with coconut trees will be filled. 29 : What was the name of the man? You met and talked to him this morning. A. What was the name of the man whose you met and talked to this morning? B. What was the name of the man who you met and talked to him this morning? C. What was the name of the man you met and talked to whom this morning? D. What was the name of the man you met and talked to this morning? 30 : They have built a new hospital near the airport. A. A new hospital has been built near the airport. B. A new hospital near the airport has been built. C. Near the airport has been built a new hospital. 36 Thousands of people was died in the tsunami hitting Asia in 2004. 37 I wasn’t interested in the things which they are talking at. 38 What would happen if the temperature is warmer ? 39 My little daughter is going to being taken to day care center. 40 They can’t pay the rent unless their parents don’t send them some money.